On Nov. 30, the American National Standards Institute (ANSI) approved the performance management standard as the second American national HR standard sponsored by the Society for Human Resource Management (SHRM). The performance management standard gives employers a uniform way to analyze and discuss their employees’ job performances, including goal setting and performance improvement plans. A task-force of 44 members—HR professionals, academicians and consultants—developed on the standard. It also went through two public review periods. In February 2009, ANSI selected SHRM as the standards developing organization for HR standards in the country. SHRM manages the standards development process, which includes: organizing taskforces devoted to developing standards for diversity and inclusion, measures and metrics, staffing, compliance and regulatory, and employee and labor relations. Released in 2012, the cost-per-hire standard is the first American national HR standard. Together, SHRM and ASIS International released the ASIS/SHRM Workplace Violence Prevention and Intervention American National Standard in October 2011. 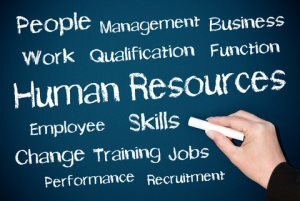 For information on HR standards, see here.